Beat eggs together, then mix in sugar. With a whisk, slowly whip in melted butter, tempering the eggs first so the butter doesn’t cook them. Stir in vinegar, lime juice, zest, ginger and salt. Beat well. 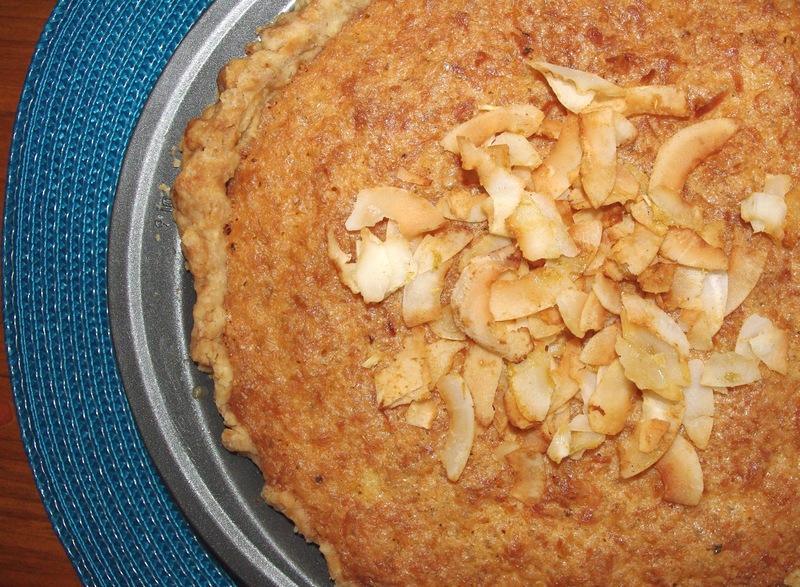 Stir in the coconut and pour into the pie shell. Bake on 325 for 45 to 50 minutes, or until set and golden brown on top. While sill hot, garnish with toasted coconut (made by tossing together coconut, lime juice and ginger and toasting on a cookie sheet at 375 degrees for a few minutes).